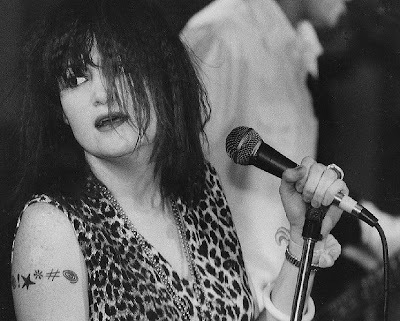 Chronological Snobbery: Happy Birthday, Exene Cervenka. 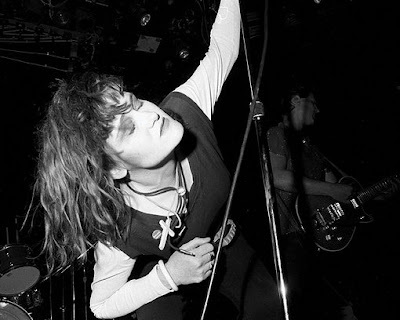 Today, Exene Cervenka, one of the lead singers of the fabled LA punk band X, turns 54. Perhaps best known for its 1980 LP, Los Angeles, X also played some recognizable covers in the mid-1980s, including one of Jerry Lee Lewis' "Breathless" (which appeared in the American remake of the French film of the same name) and The Troggs' "Wild Thing," their version of which appeared in the 1989 film, Major League. (If you're wholly unfamiliar with all things punk, you might know Cervenka as the former wife of Viggo Mortensen.). X still tours, as does Cervenka, who has a bit of a solo career. Sadly, last year, she announced that she had been diagnosed with multiple sclerosis. But she's still doing shows.